With great sadness and with some difficulty to comprehend, I heard of the sudden death of Ahmed Safwat. He was a good friend of mine, going back to the days, where he coached the first emerging talents of German Squash the finer points of the game. He and his English born Wife Ann, came to Hamburg ( my Hometown) in the early 80’s and settled there for several years. I often visited their home, where Ann with a young family emerging, showed great adaptability in a foreign country. Her devotion to Ahmed and the children was underlined, when she changed her faith to become a Moslem. 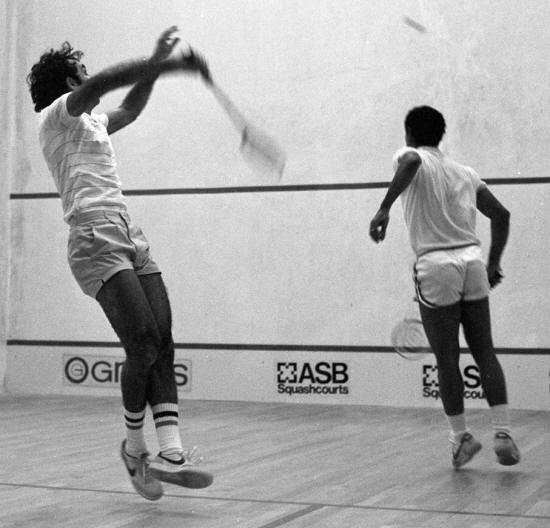 While other coaches chased the easy money, available in the new Squash Nation Germany, often not covered themselves in glory, it was Ahmed Safwat, who sowed the seeds of his skilful game, which reaped their rewards, long after he moved back to England and set up home in Southend. 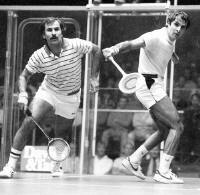 Hamburg became quickly the Centre of Excellence in the German squash scene. 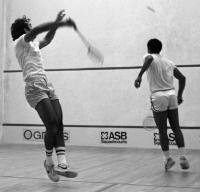 There are very few squash players, who will ever handle a squash racket so elegantly and skilful as Ahmed Safwat did. He was also a very astute tactician, which let him always choose the right shot, at the right time. 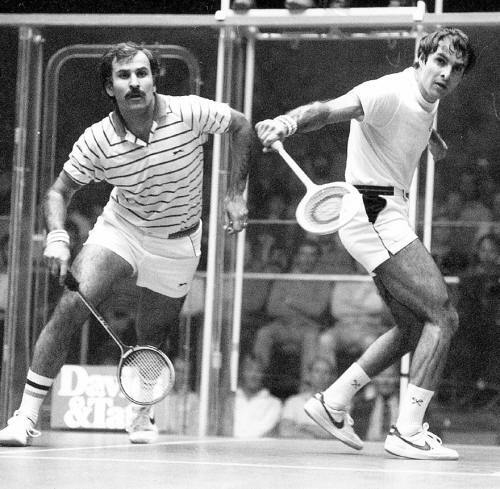 He was not the one, to have a hundred stroke rally or run constantly from one corner to another, he made his points with sheer racket skills, more in the mould of a Rodney Martin. Ahmed volley’s executed from anywhere in the court, were deadly. But more as the skills on court, was his sportsman like behaviour, that earned him the respect of his follow competitors. Where Safwat was playing, the referees could go to sleep. His easy going nature, was also his greatest asset off court. Popular not only with his fellow internationals, Liz Irwin and Sue Wright have sought his council, club players and fans found the Egyptian equally friendly and helpful. It was therefore no surprise, when Safwat’s proceeded his successful playing career, with that of a very successful coach. 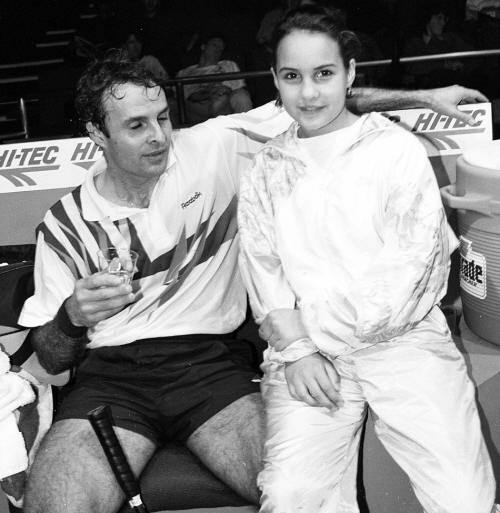 Particularly Egyptians highly talented Juniors have benefited from the “O40” and “O50”World Masters Champion. No- where else will the great loss be Safwat felt more, as in next month Women’s World Junior in Cairo. I am very very shocked to hear this tragic news … Ahmed was one of the absolute gentlemen of our World Squash community …some one who was not only very special, but also enormously respected by everyone who knew him. Someone I always looked forward to meeting at the many World events where we crossed paths on numerous occasions. He will be greatly missed. He was an unbelievable bloke. A real gentleman. I wish I could have played the way he did. Not only with his skills but with the same demeanour. 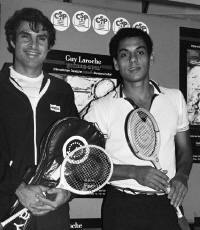 I played Ahmed in three British Closed Championship Finals - all on Guernsey (Major Millman was the organiser). He won all three but as has been said there were very few lets if any in these matches. A wonderful competitor and sportsman he was a great example to all, especially the juniors in the game. I'm so saddened by this news and will keep Ahmed in my prayers. Abdel Aziz Ezzel Arab, Ph D, Assistant Professor, Economics Department & Director, Core Curriculum, American University in Cairo. The Squash world is mourning the sudden death on Tuesday (29 July) evening of former Egyptian international Ahmed Safwat. One of the most popular figures the game has ever produced, Safwat was born on 6th June 1947 in Cairo, but spent most of his recent life in England with his wife and family. A world top ten player in the 70s, Safwat was noted for the grace and artistry which set him apart from most of his contemporaries. He moved to Germany to coach for a period at the latter end of his career before moving to Courtlands Park, near Southend in the UK, where his wife Ann worked. 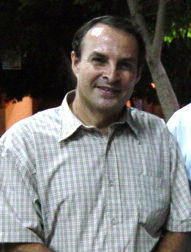 In recent years, he coached Egyptian junior girl and women's teams. Two months ago he went back to his roots as coach at the Heliopolis Club in Cairo, planning to split time between Egypt and England. He won the World Masters O40 title; was twice the O50 champion; and was top seed for the World O55 title in Finland next week. It was on Monday evening that he was taken to the ICU Hospital in Cairo after complaining of chest pains following a coaching session at the Heliopolis Club. After an examination by a cardiologist he was allowed to go home but advised to have further tests. Having booked his flight back to London on Thursday, he decided to have these back in England - but then suffered a heart attack later that evening at home and was rushed back to the hospital. Although he appeared to have recovered on Tuesday, he suffered a further attack some 24 hours later and was unable to be revived. Dr Samiha Aboul Magd of the Egyptian Squash Federation visited Safwat in hospital on Tuesday. "I stayed with him for almost an hour - he was fine, almost back to normal, and asked the doctor to go back home but was told that it was better that he stayed for the night. It is a great loss for us here at the Heliopolis Club, his own club and the last place he worked for. It is a loss for Egypt and for international squash." 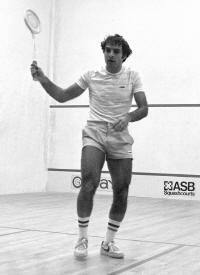 England's Jonah Barrington, who beat Safwat in the quarter-finals of the 1973 British Open en-route to winning the title for a sixth time, remembers his opponent with much affection: "He was a lovely man, a natural gentleman who was great to play - there was hardly ever a let. He was very skilled and played the side wall brilliantly. 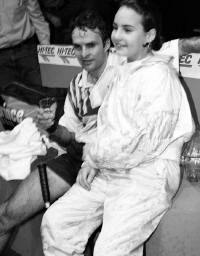 He represented his country with pride and honour and did a great job for professional squash. He was also a very significant personality when there were a number of personalities in the sport. Everybody warmed to him, adults and youngsters. "He was also a very handsome man, with eyelashes that most women would have died for!" Barrington recalls. 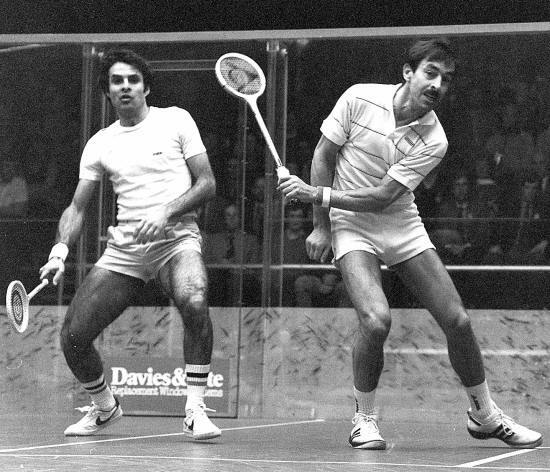 World Squash Federation (WSF) President Jahangir Khan has also expressed his grief at the passing of such a wonderful Squash player and true gentleman of sport: "Ahmed's passing diminishes us all. 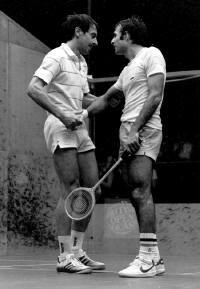 Squash will not be the same without him," said the ten-times British Open champion from Pakistan. "There's a song which bemoans the fact that the good die young and Ahmed's passing is just such an example," said Andrew Shelley, Director of WISPA and former Events Manager at the SRA. "I have known him for twenty five years and never heard a bad word spoken about him. He was a gentle man who was also a gentleman. "It is the most awful tragedy for his wife Ann and his family, but the whole world of squash that have seen his silken play, his coaching skills and wonderful demeanour will miss him too. He was a special guy."